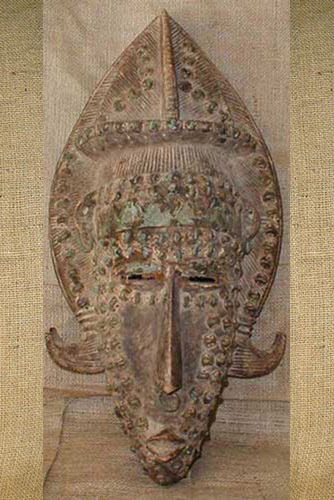 This Bambara Mask is from the Mali region. 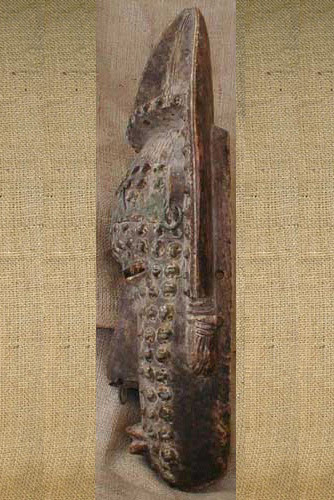 Thought to be about 50-60 years old, it is made of pounded brass inlaid on wood. 21.5 inches tall and 11 inches wide.